Employees of healthcare companies who have evidence of healthcare fraud may receive a portion of the money collected in a lawsuit if they come forward as a healthcare whistleblower to uncover illegal activities. Among illegal activities that could be reported are attempts to defraud the government, performing surgeries that are unnecessary, using medical devices that are not approved by the FDA in surgeries, or accepting kickbacks. 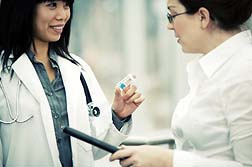 Send your Healthcare Fraud claim to a lawyer who will review your claim at NO COST or obligation. Medicare is a government administered health insurance program for Americans aged 65 or older, or who are disabled. In addition to providing hospital and doctor expenses, it now provides options such as prescription drug coverage. Medicare fraud occurs when a person, company or organization intentionally submits Medicare reimbursement claims without having performed the duties being reimbursed, or having conducted medically unnecessary procedures for the purpose of billing the government. Upcoding is a form of Medicare fraud that occurs when a healthcare provider uses the wrong code for a procedure to obtain a higher payment for work conducted. This is a violation of the False Claims Act. Healthcare fraud costs taxpayers and policyholders billions of dollars. Not only does it affect taxpayers, but healthcare fraud can result in higher insurance premiums. If the government is successful in a lawsuit against the person or company in question, healthcare whistleblowers may be eligible to receive a portion of the money obtained. Whistleblowers are people who report the wrongdoing of companies, organizations or individuals. Those who file complaints against such wrongdoing are protected by state and/or federal laws and may receive a portion of the lawsuit funds if the government is successful in its case against wrongdoers. Qui tam is a provision of the False Claims Act, allowing individual whistleblowers to take the place of the government in seeking damages on both his or her and the government's behalf. Individuals filing qui tam actions may be eligible to receive share in the money recovered for the government. Qui tam laws also protect individuals from retaliation for filing such a lawsuit and provide the opportunity for the individual continue the lawsuit even if the government declines to file one. Lawsuits alleging healthcare fraud and other legal violations can recover hundreds of millions of dollars for the government, and millions of dollars for those willing to come forward to expose the wrongdoing. In 2014, a whistleblower named Chris Riedel reached a settlement in the qui tam case he filed against Quest Diagnostics. The lawsuit accused Quest of providing kickbacks to bring in Medicaid referrals. Details of that settlement were not made public at the time. In 2009, John Kopchinski was awarded more than $51.5 million for his role in exposing Pfizer promoting 13 of its drugs for unapproved uses. Pfizer agreed to pay $2.3 billion in penalties and pleaded guilty to a felony charge for promoting drugs for unapproved uses, a violation of federal laws. If you suspect your employer has engaged in fraudulent activity and wish to speak with a Whistleblower Attorney, please click the link below and your complaint will be sent to a whistleblower lawyer who may evaluate your claim at no cost or obligation. 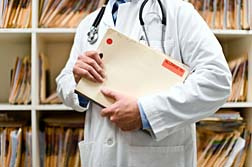 Whistleblower Healthcare Fraud Lawsuit Allege..
Whistleblower Nets $2.9 Million in Healthcare.. Doctor from Dallas Collects $11.4 million for.. Predatory Billing Hospital pays undisclosed settlement in health care class action lawsuit. Catholic Healthcare West $1.3 million will be received by plaintiffs as part of a settlement of one class action lawsuit. My wife was a psychiatrist with the Army. She is board certified in neurology and psychiatry. She complained about psychologists doing neurological boards. She was retaliated against, transferred and fired for the symptoms of her service-connected disability. The Army alleged misconduct and now she has to pay back unemployment. The Army has come under fire for alleging misconduct to get out of paying benefits and retaliation against civilian health care workers. See New York Times article and Colorado Springs Gazette stories. We are trying to appeal it. You can't fight city hall or the Army.